BIDDEFORD — The University of New England has announced that Ellie LeBlond Sosa, granddaughter of President George H.W. 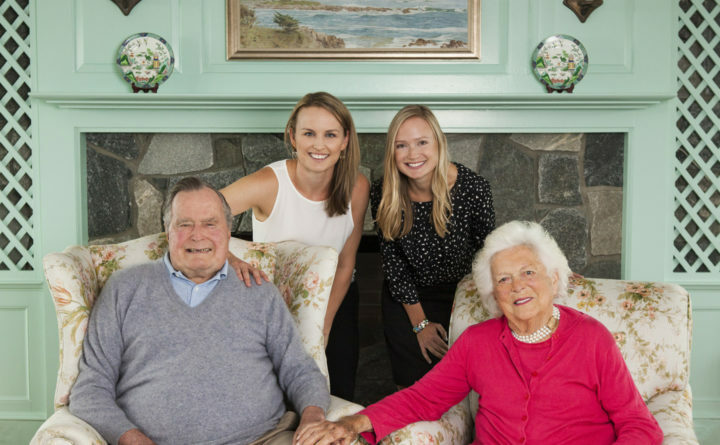 Bush and the late Barbara Bush, and Kelly Anne Chase, a New England-based writer and magazine editor, will serve as co-speakers for the 2018 George and Barbara Bush Distinguished Lecture Series at 6 p.m. Wednesday, Oct. 3, at the Harold Alfond Forum, Biddeford Campus. Sosa and Chase will share with the UNE community their experiences writing their newly released book, “George & Barbara Bush: A Great American Love Story,” which pays tribute to the 73-year marriage of President and Barbara Bush — the longest marriage in presidential history. Sosa, the daughter of Doro Bush Koch, works for a Boston-based healthcare nonprofit and, as a certified holistic health counselor, teaches fitness in Boston and on retreats around the world. She collaborated with Chase, the managing editor of New England Living’s print and digital magazines and former managing editor of Maine magazine, to capture the story of the enduring love between her grandparents. Created from private collections of letters, photographs and stories and informed by intimate interviews with the members of the Bush family, the book explores the special relationship between the Bush family matriarch and patriarch — a relationship that remained steadfast throughout political victory and occupancy of the White House as well as times of hardship imposed by war separation, political defeat, and the painful loss of a child. The event is free and open to the public. No reservation, ticket or RSVP is required.